Anyone who handles reptiles regularly HATED the way he did it. He was NOT respectful. It don't seem that long ago just shows how time passes. Actually time passes very fast. You can not imagine it's been 10 years. Noted. Thanks, Cal. Noted...So sad, but his legacy lives on. There will be no one quiet like our Steve he was one only and the mold was broken. Ten years is just a mere blink of the eye. 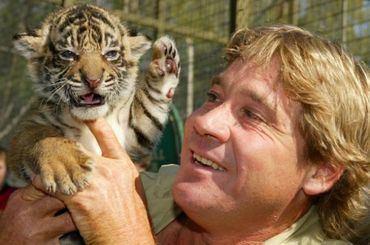 I miss watching him so much, he was wonderfully compassionate and passionate in preserving and helping all creatures. He will always be remembered such a sad loss.